Jill Newhouse is collaborating with French scholars Martin Dieterle and Claire Lebeau to create a comprehensive database of drawings by Jean-Baptiste Camille Corot (1796-1875). While the Robaut catalogue raisonné published in 1905 illustrates many oil paintings, few drawings are recorded or reproduced. We are currently establishing a comprehensive photo archive of drawings which will provide the basis for further scholarship. 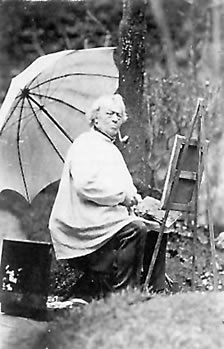 To this end, we would be very grateful to receive information about drawings by, or attributed to, Corot. This information will be kept strictly confidential and will be used for scholarly purposes only. The 6th Supplement to the Corot Catalogue Raisonné of paintings is now available for purchase by clicking here.